The MCU is about to undergo an almighty shakeup. 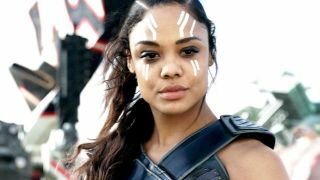 Not only are female superheroes on the verge of outnumbering their male counterparts on the big screen in the near-future, Kevin Feige has said that openly LGBTQ characters are also on the way – both in terms of new and current characters. Far from being any sort of token gesture, Feige confirmed to Screen Rant that “I think we're getting to the point soon where we have so many great female characters that those are just our heroes as opposed to when are they all female, all male. It's just the Marvel heroes, more than half of which will be women." While the culling of Avengers: Infinity War did much to shelve many of the male contingent of the MCU, it’s clear that women are becoming more and more prominent in Marvel movies. Ant-Man and the Wasp is the first Marvel film to include a female character in the title and, of course, there’s the small matter of the Captain Marvel movie next year. That promises to be only the beginning of the changes. Superhero movies, once an entrenched male-dominated world, a shrine to overblown machismo, are changing. Yet again, Marvel aims to be at the forefront of it all. Those new Marvel movies just got a whole lot more interesting, huh?